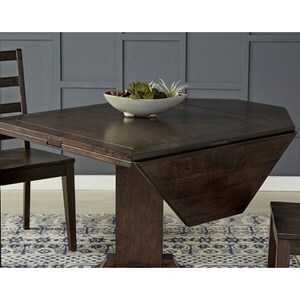 Home Dining Room Furniture Dining Tables Amish Impressions by Fusion Designs Winfield Bookmatch Table 36" x 84"
Winfield Bookmatch Table 36" x 84"
The Winfield collection features solid hardwood construction with 1 & 3/8" thick leaf-less tops with standard live-edges. The Buffet features hardwood construction and an optional silverware drawer insert. 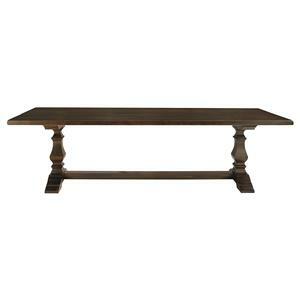 Optional table finishes include distressed, two-tone, or hand-planed tops. Fusion Designs Amish - Winfield Collection Bookmatch Table 36" x 84" Custom Amish furniture near me. Solid wood furniture made in the USA. Get furniture near me, pick custom wood finish and wood grain. The Winfield Bookmatch Table 36" x 84" by Amish Impressions by Fusion Designs at Williams & Kay in the Anchorage, Mat-Su Valley, Eagle River, Alaska area. Product availability may vary. Contact us for the most current availability on this product. Browse other items in the Winfield collection from Williams & Kay in the Anchorage, Mat-Su Valley, Eagle River, Alaska area. Bookmatch Table 36" x 96"
Bookmatch Table 36" x 72"